The front and rear brakes on a car take a lot of abuse over time. On most older vehicles, the front brakes will be discs, while the rear ones will be drums. 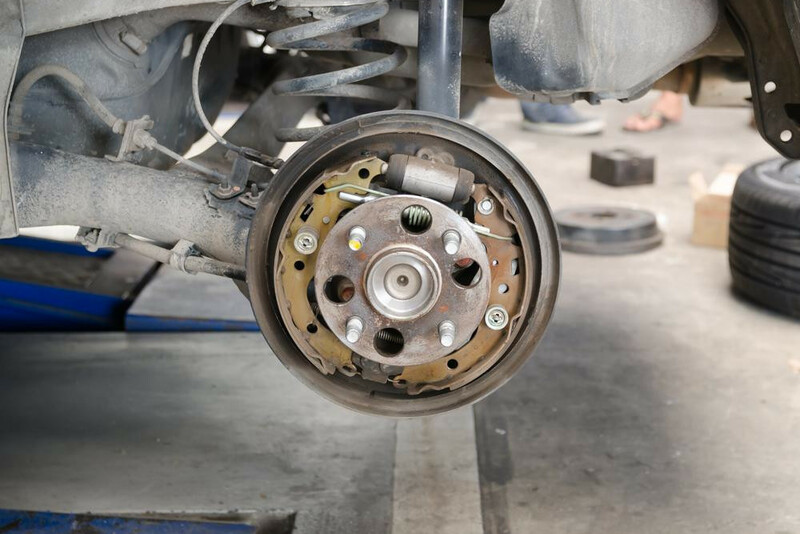 The drum brakes on a car are an essential part of having maximum braking power. Over time, the drums and shoes on the rear part of a vehicle will have to do a lot of work and may begin to show some signs of wear. When the brake pedal on your car is pushed, the brake shoes on the rear of the car will press against the brake drums to bring the vehicle to a stop. The drums are only used when the brakes of a car are applied. The brake drums on your car are built to last for about 200,000 miles. In some cases, the drums will wear out sooner due to worn out internal components that put more strain on the drum. As your brake drums begin to wear down, they will actually become smaller. A mechanic will measure the drums to gauge whether or not they need to be replaced or if they can be turned instead. If the damage to the brake drum is bad enough, it will begin to cause problems with the brake shoes. In most cases, brake drums will be replaced in pairs due to the issues that have one new and one worn drum can cause. When a professional is hired to replace the drums, they will check the wheel cylinders and other parts of the wheel braking system to ensure the drum has not damaged them. Here are a few of the things that you may notice when it is time to replace your brake drums. As soon as you start to notice that you are experiencing issues with your brake drums, you will need to get the brake drums checked and/or replaced by a professional mechanic.